This Festive season basket arrangement of fresh blooms, textural nuts and berries makes a delightful side table arrangement. Our florists will choose the best blooms in tones of red and white, to create a unique arrangement for you. 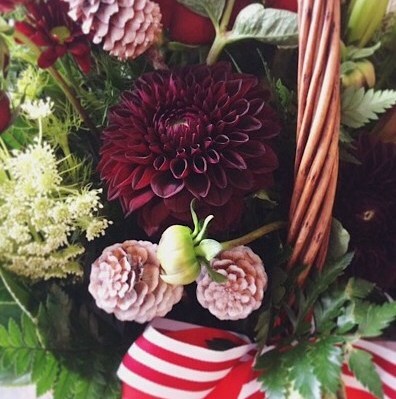 Feel free to be festive all year round, this arrangement does not just have to be for Christmas time!